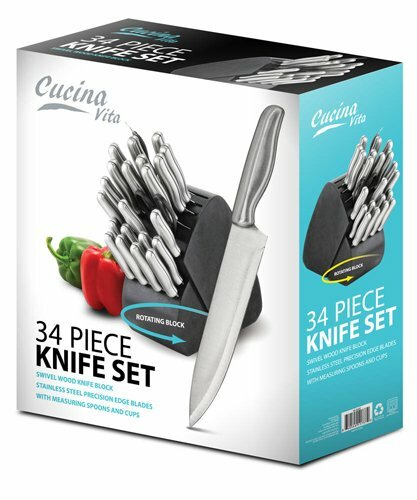 This is for a Cucina Vita Steel Handles 34 Piece Knife Set Swivel Block from Shopatusm. 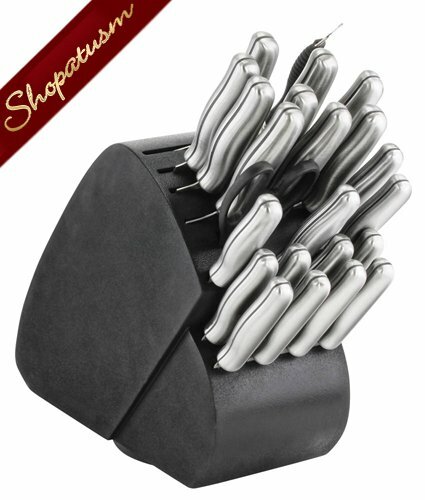 If you're a home chef (or hope to be), this knife set is the perfect tool kit. 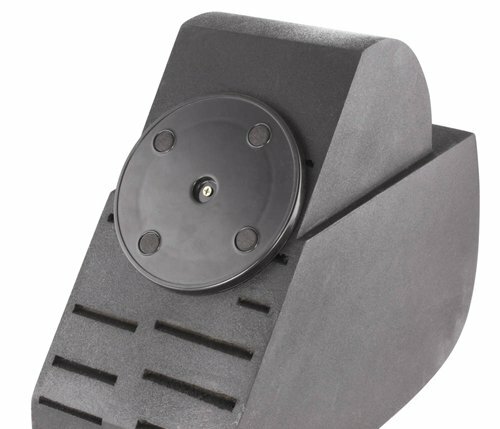 It comes with sharp steel-handled knives, a swivel knife block to keep them all organized, and a few other necessities that you'll find yourself reaching for time and time again. 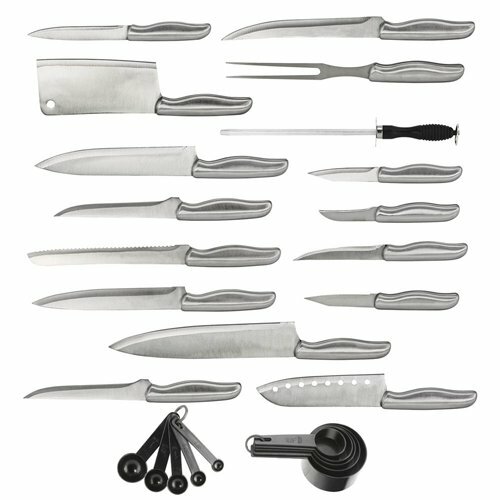 Set includes 9 1/2" chef knife, 8" bread knife, 8" carving knife, 8" chef knife, 7 1/2" fillet knife, 7 1/2" carving fork, 6 1/2" utility knife, 6" boning knife, 6" santoku knife, 6" cleaver, 5" utility knife, 4 1/2" steak knife, 3 1/2" paring knife, 3" peeling knife, scissors, sharpening steel, measuring cup set, measuring spoon set, and swivel knife block. Item weight: 11 lbs. 13" x 5 3/4" x 15" high. Plastic, stainless steel, and wood. Top rack dishwasher safe.